According to published data, colorectal cancer is the second leading cause of cancer-related death in the United States, but is also among the most preventable. Studies have found that in more than 60% of all cases, colorectal cancer is not detected until its late stages, making treatment difficult and survival rates low. For those whose cancer is detected early, the 5-year survival rate can be greater than 90%. When it comes to colorectal cancer screening, a phrase that is commonly used among physicians is “the best test is the one that gets done.” Current guidelines call for patients at average risk to have their first colonoscopy at age 50, and then no less than every 10 years thereafter. 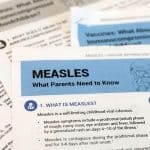 Unfortunately, research indicates that as many as 23 million people are not getting screened according to these recommendations. For many patients, the primary reason for not undergoing the recommended screening is fear of an unpleasant experience. Primary care physicians (PCPs) can make an impact on colorectal cancer screening rates by becoming more vigilant. Since PCPs typically know their patients’ family history and medical history, they can serve on the front lines by identifying risks for colorectal cancer. PCPs can also help patients choose the best screening option. For patients at high risk of colorectal cancer, colonoscopy is the way to go. A new innovation in colon cancer screening for people at average risk is the stool DNA (sDNA) test, a diagnostic that was approved by the FDA in August 2014. The sDNA test is noninvasive; patients simply collect a sample of stool in the privacy of their home and then send it to a laboratory for testing through a pre-paid mailer. An added benefit is that no preparation is required. Data published in the New England Journal of Medicine showed the sDNA test detected 92% of cancers with 87% specificity. These detection rates are more or less equal to colonoscopy. The study also found 69% of high-risk pre-cancers (eg, high-grade dysplasia) are among the most likely to develop into cancer. If a patient’s test comes back positive, they should then be referred for a follow up colonoscopy and probably biopsy. These additional tests might never be recommended if patients did not use the sDNA test. 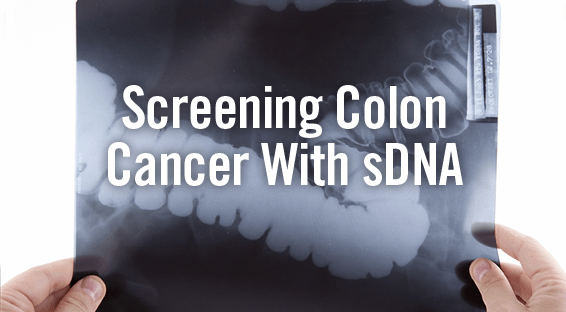 While colonoscopy remains the gold standard for screening for colorectal cancer, sDNA presents a new opportunity to address colon cancer screening in patients at average risk for the disease. The sDNA test can also be helpful for patients who are fearful of colonoscopy. For patients who have been avoiding colon cancer screening because of these fears, this may finally be the test that gets done. Imperiale TF, Ransohoff DF, Itzkowitz SH, et al. Multitarget stool DNA testing for colorectal-cancer screening. N Eng J Med. 2014;370-1287-1297. Itzkowitz SH. Incremental advances in excremental cancer detection tests. JNCI J Natl Cancer Inst. 2009;101:1225-1227. Available at: http://jnci.oxfordjournals.org/content/101/18/1225.full.pdf+html. American Cancer Society. Colorectal Cancer. Available at: www.cancer.org/cancer/colonandrectumcancer/detailedguide/colorectal-cancer-key-statistics. Alan W. Weinberger, MD, has indicated to Physician’s Weekly that he has no financial disclosures to report. Can NSAIDs Help Prevent Skin Cancer?